"The first will be last and the last will be first." That's one of Jesus' favorite sayings. Isn't interesting that God said it long before he was born. Isn't interesting that those who knew the Scriptures, but didn't know Jesus, said it too! 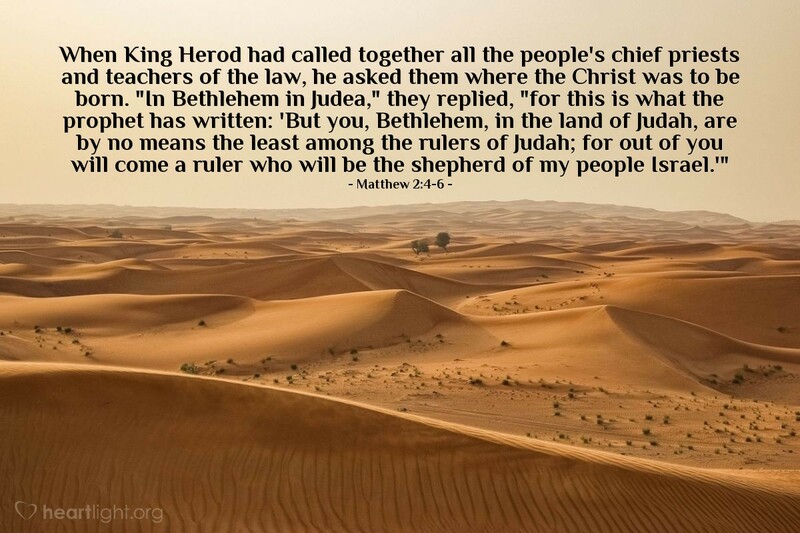 Isn't it interesting that Herod and Jesus lived it thirty years before Jesus would teach it? Isn't it interesting that the Jesus gave us the Lord's Supper to remember that while Jesus died and shed his blood, on the first day of the week, Sunday, he rose. When it matters most, Jesus and his people will finish first! You, O Lord, are marvelous. You are God Almighty, the holy and majestic Creator. Yet you became the least so I can share in your glory. Please help me, O God, never to look down on someone else because they look like the least. I know, Father, that as I serve and love them, I'm serving and loving you. In Jesus' name I pray. Amen.